Please contact me if you would like to make an offer on any of them. Sources of used amateur radio equipment in the UK. The following are some sources of used amateur (ham) radio equipment in the UK. I am not endorsing any of them specifically, just putting the links here for information. Mainly CB radios but sometimes have used amateur radio equipment for sale. Buying privately means buying without any sort of warranty, but prices will be lower and there is no come back. Ebay prices can be as high as buying from a dealer so be careful. Ideal for finding items for sale locally. Various groups exist where equipment is bought and sold. Same warnings apply as for small ads. There are small ads in RadCom and other magazines that might be worth a look, as well as some of the special interest Amateur Radio organisations if you are looking for specialist equipment. 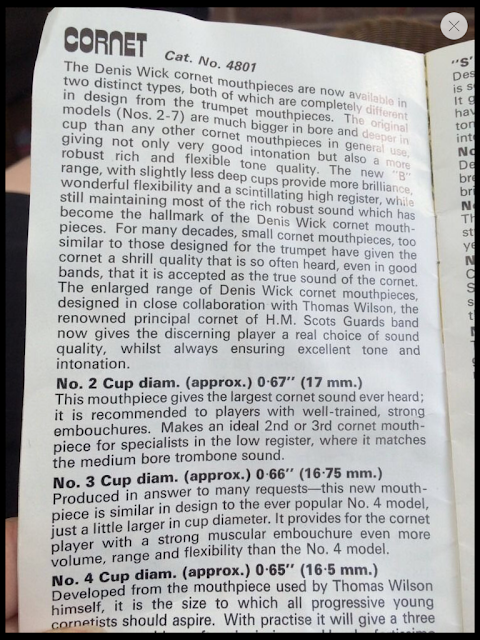 The origins of the Denis Wick cornet mouthpieces. 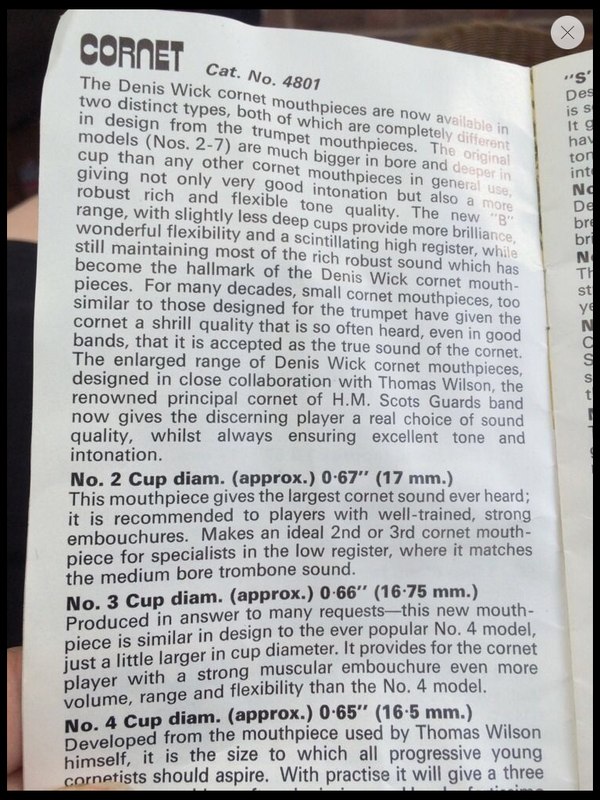 In the early 1970’s I was asked by Denis Wick if I would help him develop a cornet mouthpiece – and the rest, as they say, is history. It was also round about this time I was asked by Boosey & Hawkes if I would help in the development of a new cornet for them. After a lot of hard work the first large bore Sovereign cornet was born. I still play the original prototype. It’s still going strong after over 30 years. It was stamped No. 1, (which causes the customs people more than a little curiosity when London Citadel Band goes on trips). My latest election prediction: a (well) hung parliament. If Labour does not do a deal with the SNP then David Cameron, as the leader most likely to be able to get close to a majority, will stay on as Prime Minister to see if he can get a Queen's speech passed. If he can't then he will probably give way to Labour and let them try. At this point Labour will either do a deal with the SNP or we will head into a second general election in September. One warning though: there is a nuclear option. If both the Labour and Conservatives believe that allowing the SNP any influence would be either too toxic or give them unnecessary credibility they might decide to form a "grand coalition" or "national government" with Labour and Conservative parliamentary parties forming one bloc in parliament. With Labour likely to be decimated in Scotland the effect of any fallout on Labour north of the border would be self limiting, making this scenario less unlikely than a few weeks ago. 1. The Conservatives get first chance at forming a government as they are the incumbents. 2. If they can not secure one then the Prime Minister has to resign. 3. The Queen would then invite the leader of the largest other party to try and form a government (i.e. Ed Miliband). 4. If this fails then he could propose a Queen's speech and try and get it passed. 5. If this fails there could be a vote of no confidence and parliament would be dissolved for another election to take place (according to then Fixed-term Parliaments Act 2011). As the new House of Commons starts sitting on Monday 18th of May this leaves only nine days for negotiations with potential coalition partners. How Labour lost the Scottish electorate. It now seems certain that Labour will enter the next parliament with only a handful of Scottish MP's. They may even be fewer Labour MP's in Scotland than pandas. Labour's collapse was predictable and inevitable. It may have culminated in the referendum, but it has been a long time coming,. Labour could have made a socialist and internationalist case against independence, or even a federalist one within the European Union, but they chose not to. Instead, they went into a coalition with the Conservative Party to push a vision of lack of capability within Scotland to manage it's own affairs. Couple to this an overblown fearmongering, especially with older voters and people had simply had enough. Labour have also failed to recognise that their core social democratic values are no longer unique. The SNP has reinvented itself since 1979 and is now more clearly social democratic than Labour. The local breakdown of referendum voting showed that tribal voting has effectively ended. Glasgow voted Yes, even though Labour had traditionally harnessed the working class Catholic vote. Catholic and working class voters now seem more comfortable with the SNP and are voting for them. Not content with annoying half the electorate many in Labour have continued to demonise those who vote SNP as either racists or "nasty nationalists". This shows a complete failure to engage with the SNP's civic nationalism - if you move to Scotland tomorrow you will be considered Scottish. Labour's last campaign tactic seems to be an eve of poll leaflet entitled "24 hours left to prevent another referendum". The SNP have made it clear they do not want another referendum unless there is an attempt to leave the EU. Even if they did want a referendum under those circumstances presumably Labour and the Conservatives will vote against legislation enabling it so if it went through it would be Labour's own fault. With one week left to go, both Labour and the Conservatives may be relying heavily on a pro union bounce from the imminent royal birth. Why the SNP will not hold the balance of power after this election. With 650 seats, an outright majority requires 325. So even if all the 24 "others" did not support them they would still have a majority without having to talk to the SNP at all. Given the historical enmity between Labour and the SNP and the fall out from the referendum it seems fanciful to me that they would make any sort of agreement after the general election. The SNP might choose to vote for policies put up by Labour, but Labour will not need to do anything to keep the SNP on-side as they will not need them to have a majority and get Ed Miliband into No 10. What makes this even less likely is that the level of support for the SNP suggested in this poll is unprecedented. The likely outcome will be far fewer SNP MP's and more Labour ones, meaning even less of a need for anyone to do a deal. A figure of 35-40 SNP MP's seems far more likely given that younger people are less likely to vote than older. 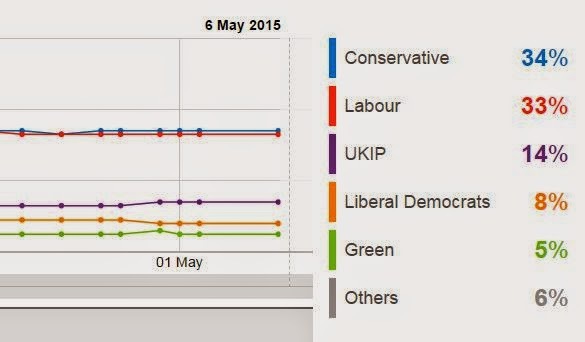 We can be sure that the Liberal Democrats will want to stay in power, even with a vastly reduced number of MP's. Labour has been careful not to single them out in their national campaign. One of the reasons for this will be their potential as coalition partners on May 8th. Sometimes the battery in a laptop is not detected by Linux mint. This is indicated by the battery monitor icon having an X in the corner and the battery charging light not coming on. Querying the hardware in shell will show the battery as not being installed. Plug in laptop and boot up. Shut the laptop down and leave power supply pugged in. After a couple of minutes the battery charge light should come on. Battery indicator should be working and show a percentage. Sometimes no icons will be displayed on the desktop. This is also caused by the battery going flat on standby or by the shut down after standby not working correctly. Usually rebooting will fix this. Diamine equivalents to the Conway Stewart fountain pen inks. With the demise of Conway Stewart last year we have lost one of the few large British fountain pen manufacturers. Its possible that the brand may be relaunched at some point, but the company that existed since the 1990's is gone and the factory broken up and sold off. I can't guarantee they are exactly the same, but they are very close and might just be relabelled. I have CS Bodmin and Diamine Jet Black and can't tell the difference.